Honda Europe has appointed Mcgarrybowen London to handle its £25m pan-European campaign for its new CR-V model. Mcgarrybowen beat Honda’s roster of agencies from each local markets, including lead incumbent Wieden & Kennedy in the pitch, which was overseen by Honda’s European communications manager, Ellie Tory and intermediary Oystercathers. Honda is the first client the agency has won since it rebranded from Dentsu London to Mcgarrybowen London earlier this year. Mcgarrybowen will now be responsible for creating the overarching idea for the pan-European campaign, which will span across TV in Northern, Southern and Eastern Europe. The campaign will launch in the autumn in the lead up to the CR-V model going on sale in October. Gordon Bowen, chairman and founder of Mcgarrybowen, said: "The European launch of the new CR-V is hugely important. We are proud that Honda Motors have chosen mcgarrybowen to be their lead strategic and creative agency for this vital task." A spokesperson for Honda said Mcgarrybowen was the most creative choice across the different markets. Wieden & Kennedy will remain as Honda UK and Europe’s lead strategic agency. The agency was behind Honda’s recent idents for its sponsorship of Documentaries on Channel 4, which the brand deemed Wieden & Kennedy’s ‘best work for many years’. The 15-, ten- and five-second TV idents surrounding documentaries on Channel 4 and More 4, included the strapline: "The more we look, the more we learn." 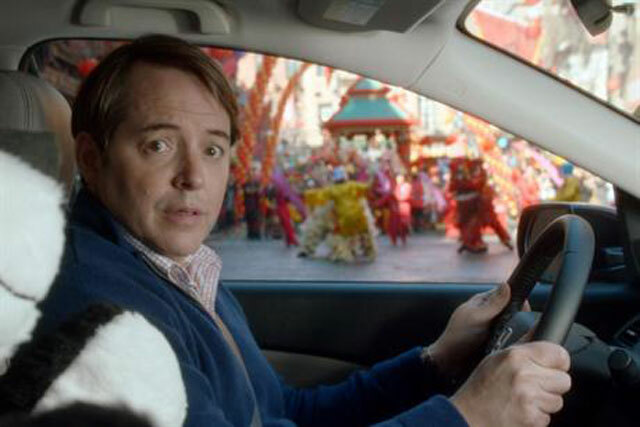 The last CR-V work, which was created by Honda’s US agency, RPA, and aired during the Super Bowl, was a homage to Ferris Bueller’s Day Off featuring Matthew Broderick.